Saint Peter Lutheran church revolves around two key convictions: We are welcomed… and we are sent. We are welcomed into God’s love, just as we are. We are sent into God’s world to be a reflection of Christ. Saint Peter was organized as a church in 1981. Read more about our history here. Pastor Dave joined Saint Peter on September 1, 1998. He says, "The best part of my work is when the people of Saint Peter are gathered together for worship. I love preaching, leading the liturgy, and presiding at Communion and Baptisms. A close second is when I have the chance to work face-to-face with someone who is growing in their faith. Whether they are grappling with a faith struggle, or exploring how to live out their faith in daily life, it is a privilege to be invited into their journey, and play a role in guiding them through the experience." Lynn's family has attended Saint Peter since December 1993, and she joined the staff in March 2003. Lynn has many administrative and management duties at the church, but Lynn most enjoys working and volunteering side-by-side "with the faithful and gifted group of people at the church." 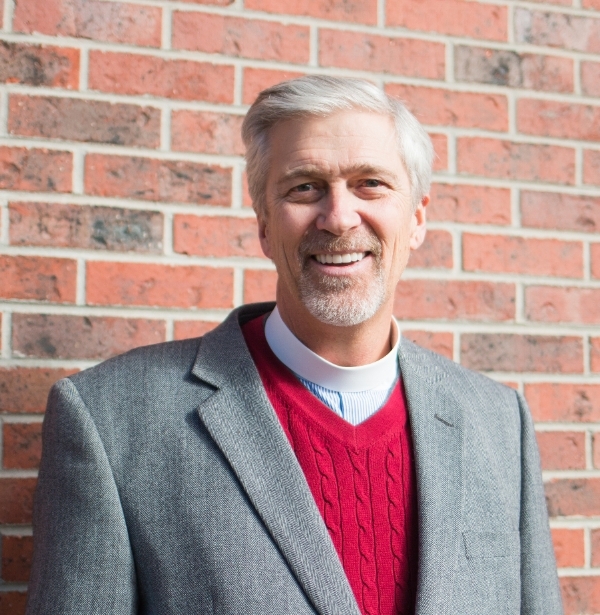 Lynn is a trained Stephen Minister and is one of the ministry's leaders at Saint Peter. As the Minister of Music at Saint Peter, Steve directs the Jubilate Choir, Alleluia Ringers, Brass Ensemble, Woodwind Ensemble, Worship Band, coordinates other music ensembles and solos, as well as designs and plans worship/music for services. Additionally, he is a gifted computer programmer and often contributes to technical projects at the church.